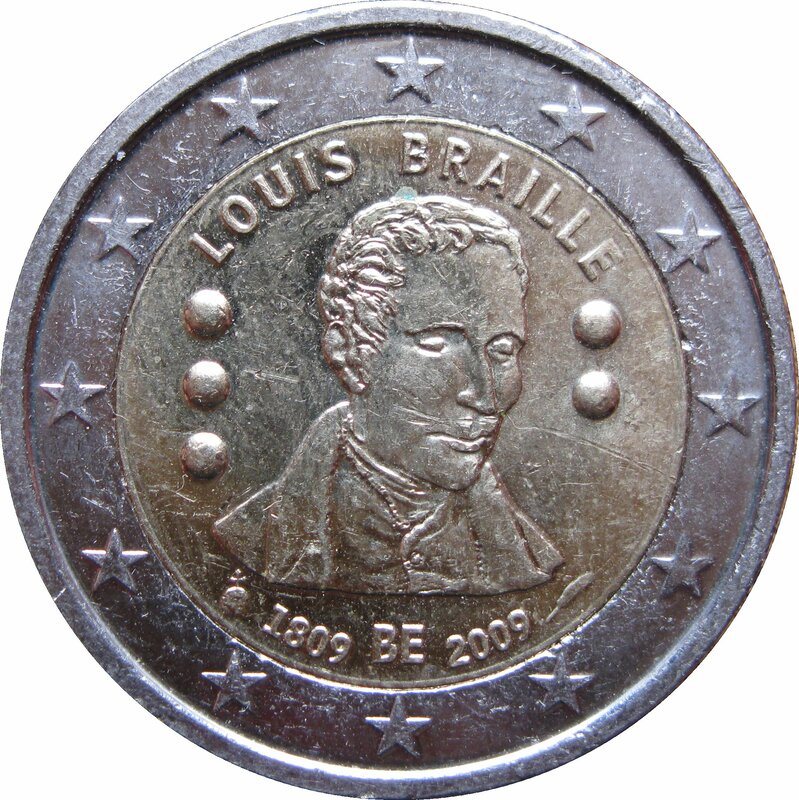 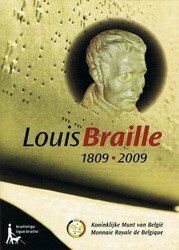 The coin features a portrait of Louis Braille with his initials, L and B, in the alphabet that he designed. 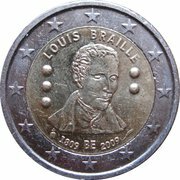 His name appears above the portrait and, below it, the code of the issuing country, ‘BE’ and the dates ‘1809’ and ‘2009’. 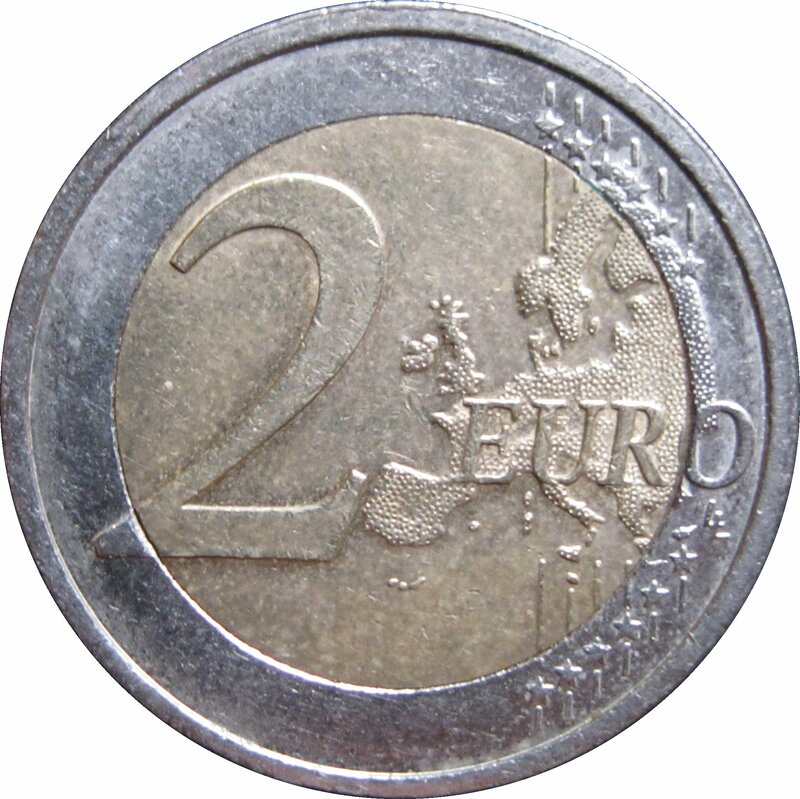 To the left and right respectively are the mint mark and the signature mark of the Master of the Mint. The coin’s outer ring shows the 12 stars of the European Union.